Euromontana has its origins in an FAO (Food and Agriculture Organisation) sponsored seminar on mountain agriculture in 1953, which generated subsequent mountain conferences at two yearly intervals. In 1974, the Confederation of European Agriculture (CEA) set up a permanent working group for “socio-economic issues in mountain regions”. Called “Euromontana”, the group comprised agricultural representatives from the countries of the Alps and Pyrenees and perpetuated this sequence of biannual conferences. In 1994, Euromontana decided to establish new relations with the Central and Eastern European countries and to include representatives of sectors other than agriculture, such as rural development and the environment. In 1995, Poland hosted a Euromontana conference in Krakow that was so successful that it was agreed to establish Euromontana as an independent legal entity. The representatives of 14 European nations (Albania, Bulgaria, Scotland, Spanish Basque Country, France, Greece, Italy, Macedonia, Poland, Romania, Slovakia, Slovenia, Switzerland, Czech Republic) convening in Rome on 4 March 1996 declared themselves the founding members of the association. The association has been founded as a non-profit and scientific organization, with international vocation, neutral in terms of religion and politics, registered under the French law of 1st July 1901. Since its foundation in 1996, Euromontana has been active in several working themes that are identified to be a priority for the sustainable development of mountain areas. 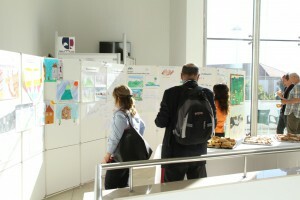 It organized several events each year, in particular European mountain conventions every second year and participated in several European projects. It has consolidated its links at international level through several international cooperation, especially in the framework of the United Nations Food and Agriculture Organisation (FAO). It has contributed significantly to increasing cooperation among mountain communities and raising awareness among policy-makers and the wider public on the opportunities related to the sustainable development of mountain areas. Euromontana today represents around 75 member organisations of all kinds in 20 European countries. 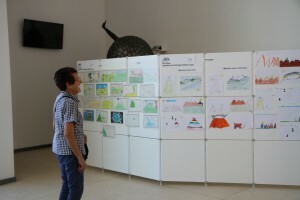 “Students – Future in mountain areas”, in the words of young mountaineers! We also wish to thank the young artists of Croatian, Spanish, Portuguese and Swiss schools who made beautiful drawings to celebrate the 20 years of our association!